The PROCAM series are for the serious users who need results when every milli-seconds count. The heart of the VQ35 NA engine lies with the camshafts. The camshafts are the key starting point for tuning this engine. Our camshafts will give you the best driving experience and the overall satisfaction with your VQ35 engine. 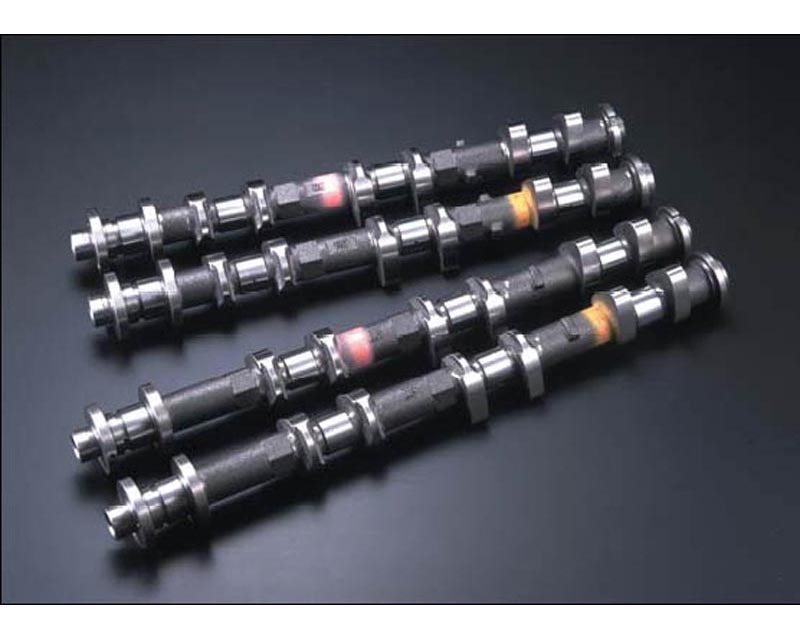 These camshafts will change the characteristics of your engine and give it a more race feel and response. Cams with cam lift greater than 11mm will require the valve springs to be upgraded as well. * Cams with cam lift greater than 11mm will require valve recession on the standard pistons as well. * Valve timing has already been adjusted, compatible with (eVTC) system. * Not compatible with engine models with variable valve timing (eVTC) on the exhaust side. *Also not compatible with the Z33 Anniversary edition from Sept 2005 onwards.This item comes as a pair and is the exhaust camshaft.